There I was sitting in traffic. To my right I noticed a dog owner struggling with her new puppy that was so full of beans I thought it might just pull the owner off the path and onto the road. She was struggling, and her face clearly showed the strain as she shouted “no Rocky, no Rocky”. The whole point of this post is for people who struggle with OCD and obsessive thoughts. So back to the puppy story. The lead was practically horizontal as the dog was up on his hind legs trying to pull in whatever direction he could get free. As a dog owner myself I know how this feels. Your dog just wants to play and explore. There is nothing more to it, but on a dogs mission of exploration they might wind up under a car or even lost for good if there is nobody there to hold him back. It was right at that moment I realised a great lesson. A lesson I’ve known, but now I had a clear example to explain how we can relate to this excited puppy. 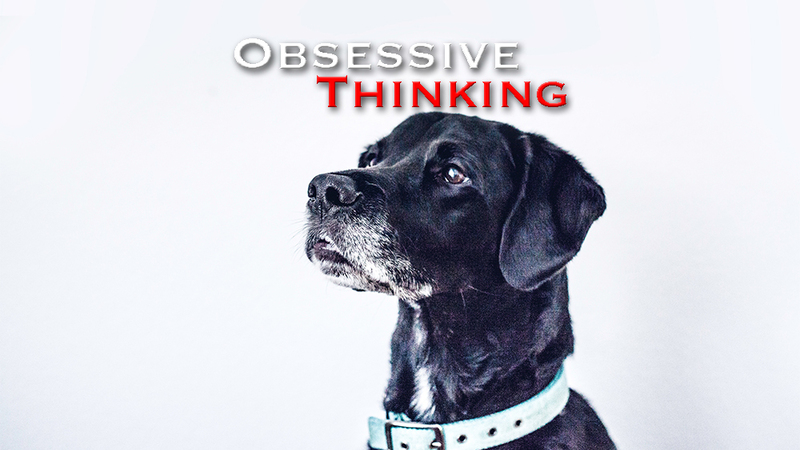 The interesting thing is that for a lot of us we develop a thinking pattern like the puppy. What I mean is a thinking attitude of anything goes. For so many people they struggle with their thoughts and emotions. They struggle with the fact that whatever they think, is therefore their reality. Their perceptions become fact as far as they are concerned. People with anxiety, depression, and other mental challenges will be all too familiar with this. In fact for some people they feel they don’t have any control over their thoughts, and therefore their thoughts are out of their control. To be honest we think so many things every minute there is a lot we don’t even acknowledge. The fact is though, we will only ponder on what gets our attention, and these things are normally things we care about, perceived threats, and things that challenge our core beliefs and values. So back to the puppy on a lead and what does he have to do with all this thought talk. You see it’s not the thoughts that are a problem. In fact you are likely to think anything at any point based on your surroundings, sub conscious, sight or sound. So the thoughts aren’t really the issue and we can’t always control them. Instead it’s your emotional reaction to the thought and the imagination that goes with it. The stronger the reaction to the thought, the more prone to thinking that thought will become. Our imagination will think the worst if allowed. The key to changing a negative thought pattern is to disempower the thought by taking away its power. Dilute the emotional reaction and the associated imagery that goes with it and it eventually will become powerless. It’s like thoughts from a traumatic experience, and due to the distress they cause they are powerful. Your imagination is the puppy and you are the owner. You are not subject to your thinking unless you allow it to be. If you had a traumatic experience it can pop into your thoughts randomly or by a very subtle reminder. Either way through help and knowledge you can learn not to react to it, and instead shake it off. We can’t always control what we think, but we can control what we do with the thought and how we react to it…but it will take practise till the puppy gets it. Sometimes we start to think the worst but it requires us to take control and keep our mind on more positive and rational thoughts. If this helped you, please comment below or Subscribe Here. Hi yes its great.i like that (We can’t always control what we think, but we can control what we do with the thought…but it will take practise). working on that at the moment, negitive thoughts and thinking to much. ie all the WHAT IF questions or I WONDER IF OR WHY? when i get negitive thoughts into my head i think satin has something to do with it. cant remember how i started thinking of it that way. so i tell him to go away, leave me a lone, and he does. other time i have to say it a few times. when i say it strongly to go away it works better for me. i ask him for help. if i dont know why things happened, i know god knows, and we go through things to learn from them. and if thats god plan for me who am i to argue. i just hope i can keep it up. i.e. if something major happens that i will be able to keep positive.